(2-LP set) Two names spring to mind upon hearing the words jazz and samba, namely those of Stan Getz and João Gilberto. But really one should be thinking of Antonio Carlos Jobim, who, with his composition from 1958 Chega de saudade, first created the type of Brazilian samba that is known today as bossa nova. 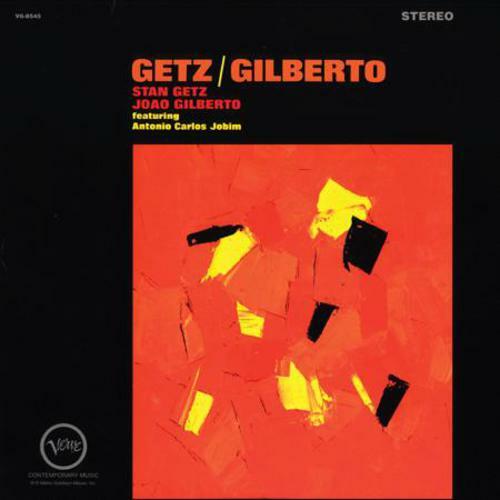 The Getz/Gilberto album, recorded in March 1963 for the Verve label, was a winner right from the very start, bringing together as it did the two godfathers of samba Jobim and Gilberto with their American brother Getz. This music is like a pleasantly warm bath whose water is perfumed with essential oil, or like a mild summer night bathed in golden moonlight. The songs, all of them now classics in their own right, are filled with the joy of life, peace and harmony.